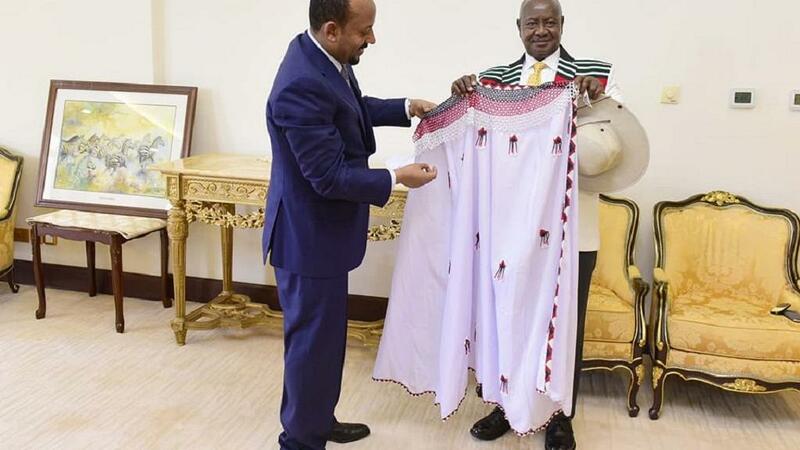 Uganda’s president Yoweri Museveni has showed off gifts that were given to him by the Ethiopian prime minister during the latter’s recent state visit. 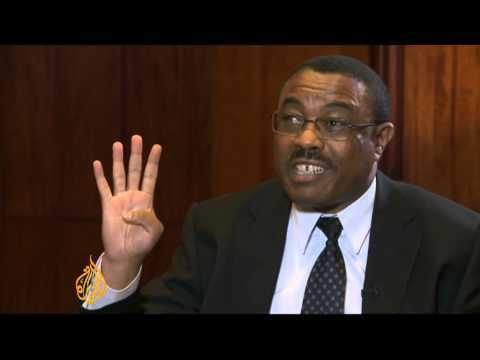 awarded the highest national accolade for his contribution to Africa’s liberation struggle. 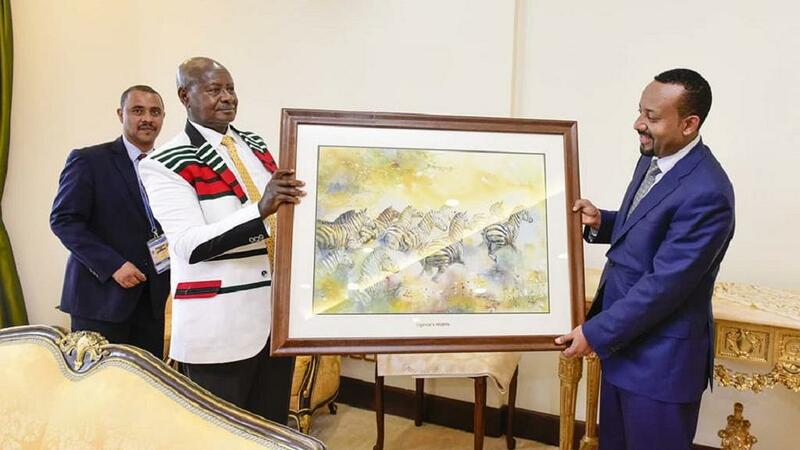 Abiy gave Museveni a colourful Ethiopian made jacket while the Ugandan president gave his counterpart an art piece depicting Uganda’s natural beauty. 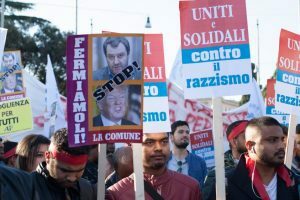 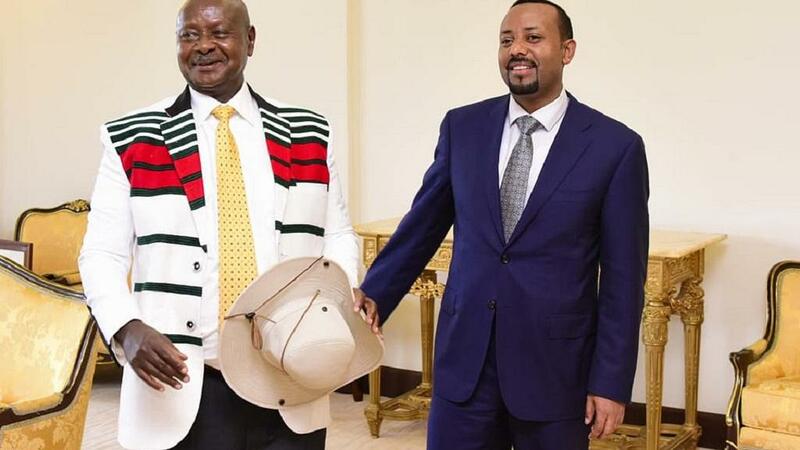 The president who posted the pictures on his official Facebook account received rave reviews from his followers who pointed that he was looking elegant in the Oromo cultural jacket. 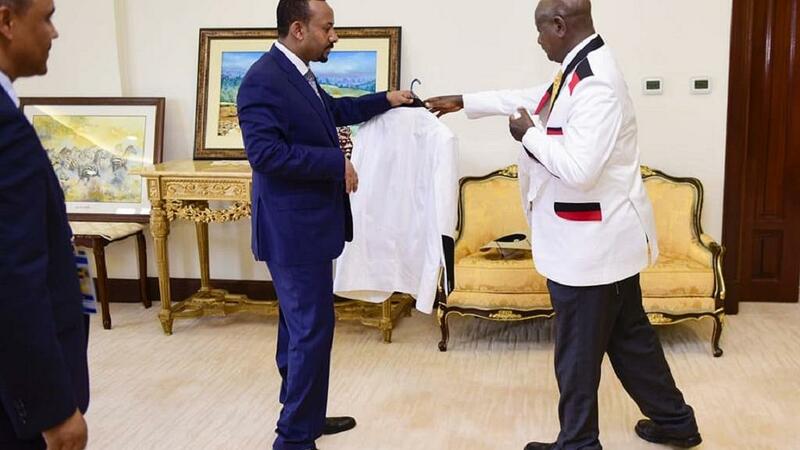 The jacket Abiy presented to Museveni was white with black and red stripes, which are the traditional colours of the Oromo people in Ethiopia. 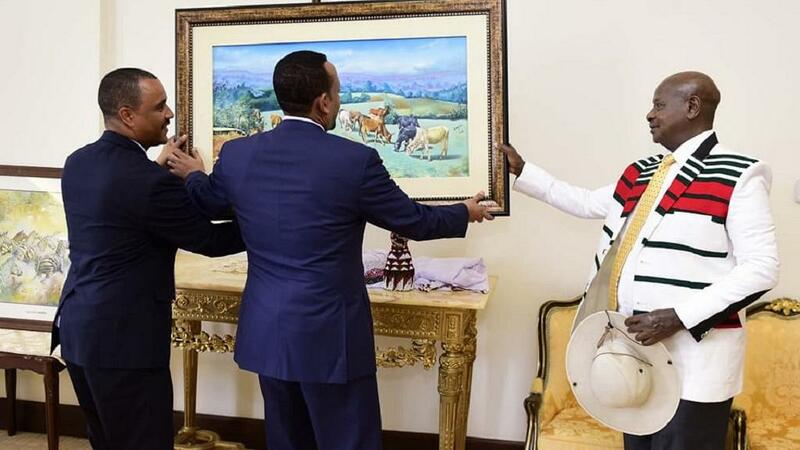 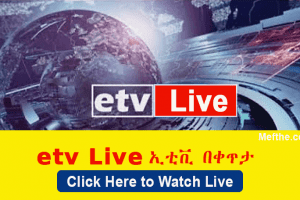 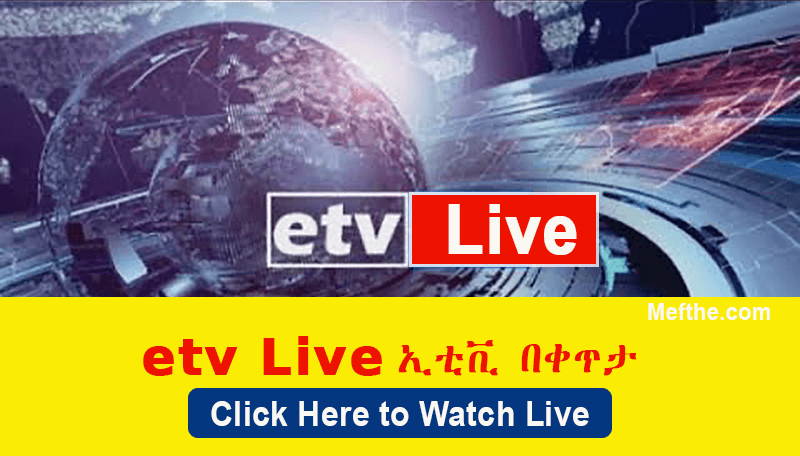 Abiy comes from the Oromo ethnic group in Ethiopia. 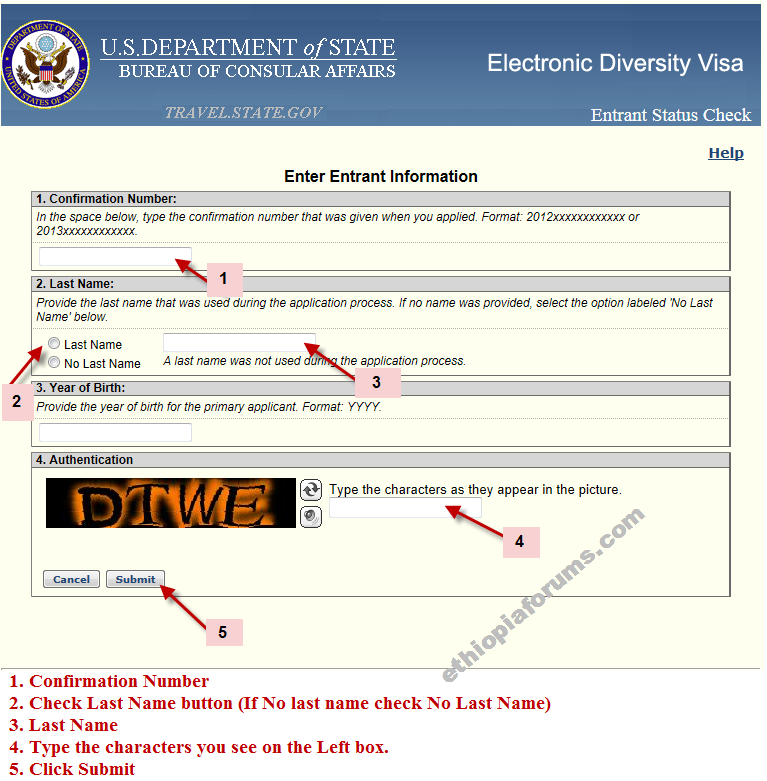 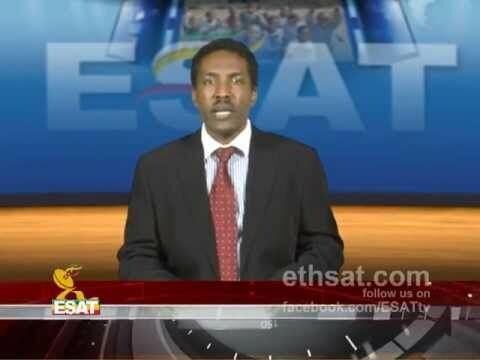 The Oromos called the system that governed social, political and legal affairs the Gadaa system. 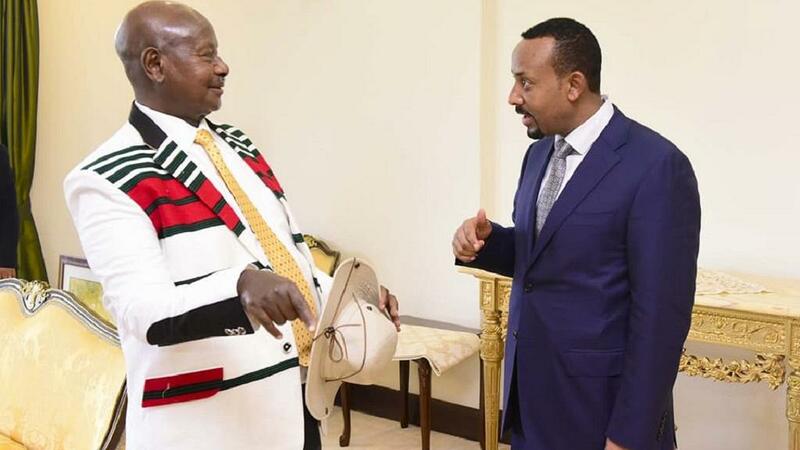 In the Gadaa system, the three colours of black, red and white represent the stages of life: those yet to enter active life, those in active life and those who had passed through active life respectively.